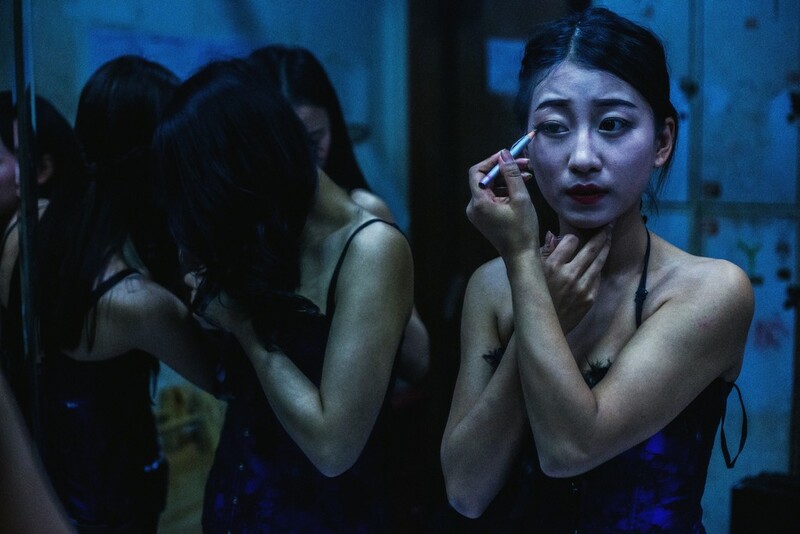 Sergey Melnitchenko's award-winning series “Behind the Scenes” fathoms the sexually charged atmosphere of a Chengdu nightclub, unveiling parts of China yet unfamiliar to the West. For his intimate, sensitive portrayals, Sergey received the Leica Oskar Barnack Newcomer Award 2017. “Transvestites, girls bathing in tubs of beer, drunk actors and even more drunk visitors. All of this in a club, the club where I was working. One year had passed since I came to Asia to work as a dancer. The last few months we had performed in a Chinese club, which was more like a huge bar with a stage, because none of the visitors were dancing here. At one moment, I realized how many great things were going on here. That’s how the series “Behind the Scenes” started. SERGEY MELNITCHENKO'S PHOTOGRAPHIC PRACTICE addresses the common concerns and unconscious desires of everyday life. “Behind the Scenes” fathoms the sexually charged atmosphere of a Chengdu nightclub. From 2015-2017, Sergey lived in China, where he worked as a dancer with his team. Exploring the country and its underground night life, he was immersed in the “other” sides of Chinese society, the dark, the burlesque and the frivolent. His experiences greatly influenced his photographic practice and subject matter. His imagery unveils parts of China yet unfamiliar to the West. It documents the banalities, the humor, the travesties and tragedies in the lives of those working in the adult entertainment industry. His intimate, sensitive portrayals are caught in a captivating melange of carefully staged compositions and rough snapshot aesthetic. Sergey took up photography in 2009 and has since participated in more than 50 group and 10 solo exhibitions around the world. He is the winner of several international photography awards, including the "Leica Oskar Barnack Newcomer Award 2017”, "Photographer of the Year" 2012, 2013 and 2016 (Kiev, Ukraine), and the "Golden Camera" 2012 (Kiev, Ukraine). He was shortlisted for the “Pinchuk Art Centre Prize" 2015 and was one of the ten finalists for the “ShowOFF” section in the Month of Photography in Krakow 2013. He's a member of UPHA, the Ukrainian Photographic Alternative, a collective promoting contemporary photography in Ukraine.